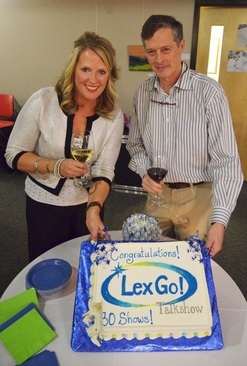 The LexGo Talk show celebrated 30 episodes with a party for guests and crew last night at LexMedia. More than 50 people attended this fun celebration. LexMedia wishes the host Colleen Smith and Producer David Ilsley continued success in 2013.